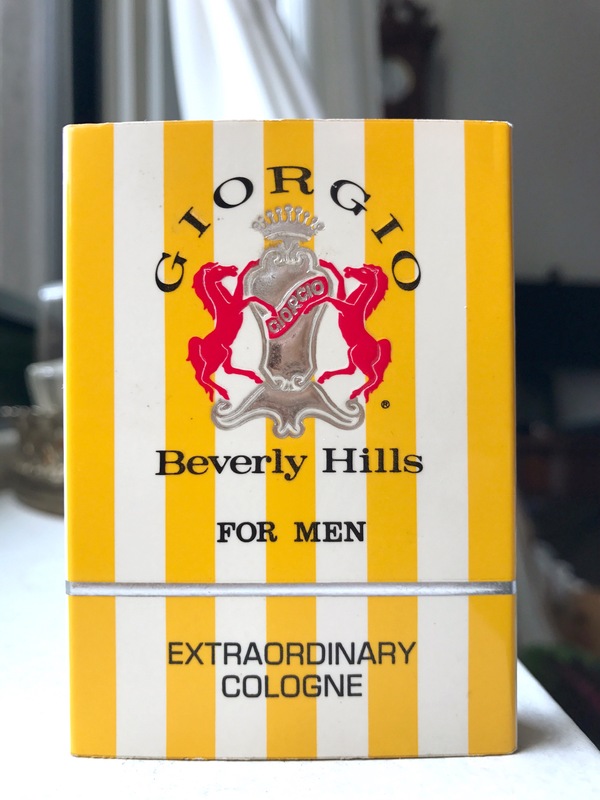 While Giorgio Beverly Hills is a blast of tuberose that can almost be offensive (or just is offensive depending on who you ask and their experience with the scent) Giorgio Beverly Hills For Men (Giorgio Beverly Hills 1984) is a bit more regal and refined. Marbled orange and aldehydes start and then are flanked by smoky, sandalwood emboldened honey mixed with carnation. Orris and patchouli are nearly sublime as they meet with musk, sweet benzoin and just a perfect dash of oakmoss. I expected to be moderately pleased with this vintage sample but instead I’m a little taken. Top notes: aldehydes, orange, fruity notes and bergamot. Middle notes: carnation, sandalwood, patchouli, cinnamon, orris root, cedar and rose. Base notes: honey, tonka bean, amber, musk, benzoin, oakmoss and vanilla. Sounds good, Karrie. Will look out for this one.